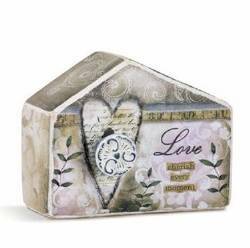 where love is shared, memories made, and comfort found. 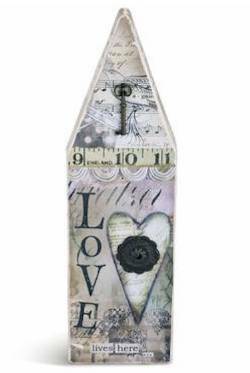 gift, as well as beautiful memory figures. 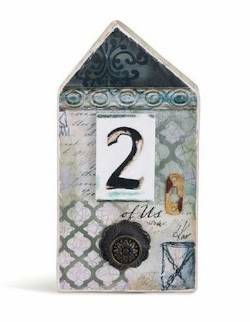 2 of Us House -- $26.00 -- Story Houses by Lisa Kaus and Lori Siebert 2 of Us House Sitting or hanging medium house Plaster, paper, resin, iron 10.5" tall x 5.5" wide 1004360004 . . .
3 of Us House -- $26.00 -- Story Houses by Lisa Kaus and Lori Siebert 3 of Us House Sitting or hanging medium house Plaster, paper, resin, iron 10.5" tall x 5.5" wide 1004360005 . . .
4 of Us House -- $26.00 -- Story Houses by Lisa Kaus and Lori Siebert 4 of Us House Sitting or hanging medium house Plaster, paper, resin, iron 10.5" tall x 5.5" wide 1004360006 . . .
5 of Us House -- $26.00 -- Story Houses by Lisa Kaus and Lori Siebert 5 of Us House Sitting or hanging medium house Plaster, paper, resin, iron 10.5" tall x 5.5" wide 1004360007 Gift . 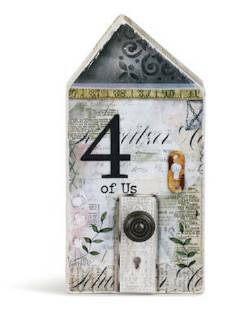 . .
All of Us House -- $26.00 -- Story Houses by Lisa Kaus and Lori Siebert All of Us House Sitting or hanging medium house Plaster, paper . 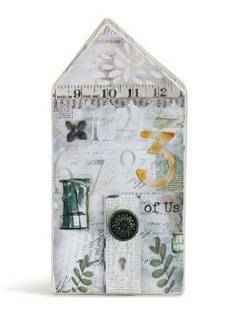 . .
Best Home Ever -- $15.00 -- Story Houses by Lisa Kaus and Lori Siebert Best Home Ever Sitting small house sculpture Paper . . . 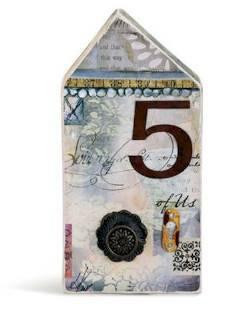 Blessed House -- $15.00 -- Story Houses by Lisa Kaus and Lori Siebert Blessed House Sitting small house sculpture Paper pulp, plaster . . . 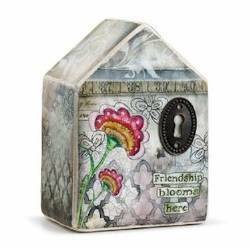 Friendship House -- $15.00 -- Story Houses by Lisa Kaus and Lori Siebert Friendship House Sitting small house sculpture Paper . . . 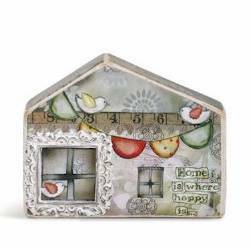 Happy Home -- $15.00 -- Story Houses by Lisa Kaus and Lori Siebert Happy Home Sitting small house sculpture Paper . 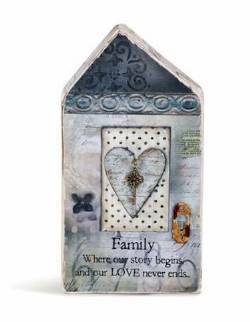 . .
Home Story House -- $30.00 -- Story Houses by Lisa Kaus and Lori Siebert Home Story House Sitting or hanging large house Plaster, paper, resin, iron 17.5" tall x 5" wide 1004360001 . . .
Love Cherish House -- $15.00 -- Story Houses by Lisa Kaus and Lori Siebert Love Cherish House Sitting small house sculpture Paper pulp . 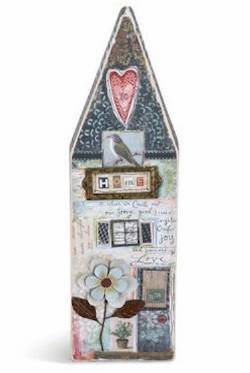 . .
Love Story House -- $30.00 -- Story Houses by Lisa Kaus and Lori Siebert Home House Sitting or hanging large house Plaster, paper, resin, iron 17.5" tall x 5" wide 1004360003 . . .
Love Together -- $15.00 -- Story Houses by Lisa Kaus and Lori Siebert Love Together Sitting small house sculpture Paper pulp . . .
Fiddlesticks is "Your Store for All Seasons"